You’ve stepped into the mid-life period, and starting to see its footprints on your skin; wrinkles, spots, darkening, sagging…the list continues. Are you still using the foundation you had picked in 20s’ or 30s’? Even if your skin is aging, whether it’s getting drier, oilier or more sensitive, you can still have the flawless looks using the right foundation for your skin. There are many cosmetic brands, such as Lakmé, Maybelline or MAX FACTOR that offer great coverage and natural glow. 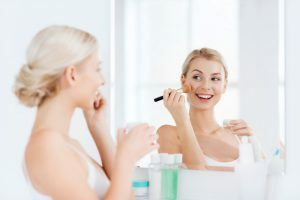 So, here, we are going to introduce how to pick the right foundation for over 40, and list the popular foundations found online. The list includes liquid, powder, cream…all types of amazing foundations that polish mature skin to your satisfaction. Mature can be a lure! What is the Foundation for 40+ Skin? The youth in 30s’ is replaced by confidence in 40s’. Maturity has given you a different attraction. You feel like you are your own woman whether at home or work, and confidence is giving you the glow. Women in 40s’ are powerful and beautiful, shining in a way that youth cannot do. The skin, unfortunately, cannot keep up with your inner glow. The change you saw in 30s’ is sped up, and you start to worry a bit. The decreased collagen production, changes in hormones can be apparent in the skin with blotches, darkening, wrinkles and pores. However, you should not give up on having a great completion. 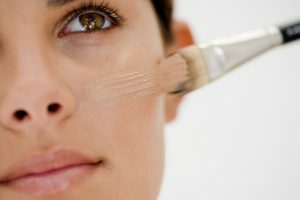 Nowadays, the cosmetic technology is simply amazing! The foundations for women in 40s’ should offer the coverage that gives youthful looks without further damaging skin. And it is time you purchase more than one to cater to occasions. The subtle shift in how you chose and use your foundation is a must for mature skin. Let us look at the key points in doing so. Your mature skin will know the difference when you choose a foundation based on your skin type or if you are choosing it carelessly. So, keep in mind the following points in choosing the foundation for 40+ skin. Compared to the skin in 20s’ and 30s’, the skin in 40s’ cannot sustain moisture. The amount of natural skin grease production lowers as well. When skin is dry, the surface loses elasticity, which causes wrinkling. This is the reason the skin care is extremely important for mature skin. Put the same care to choosing a foundation as you would to skin care products. Choose ones that include moisturizing ingredients such as hyaluronic and collagen. And UV protection is as important as moisturizing. The cause of blotches and darkening of the skin is by large due to the UV exposure. 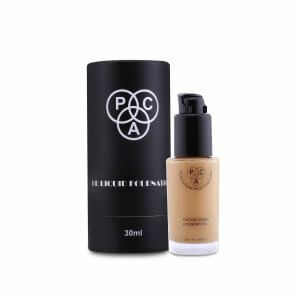 Especially, if you are outside a lot, you should pick a foundation with SPF20・PA＋＋ protection. These two key points are pretty basic. Yet, the basic care becomes even more important for your skin as you age. So, if you are over 40, do not forget these. You are eager to have evenly toned skin and cover the blemishes you see in a mirror. So, you want to choose the foundation that offers complete coverage. However, the more coverage a foundation offers, more damaging to your skin. You want to use it only when necessary. This means you might want to have more than one foundation in your cosmetic bag. Using foundations for different occasions is a key point for 40+ skin. Powder Foundation is easy on the skin and has great UV protection. It is suited for all seasons, and touch-up is easy. The downside to this type is it does not have much moisturizing effect and coverage. So, this type can be used casually, when you are out to shopping, etc. Even on days you normally stay makeup free, applying just a bit of powder foundation can make you feel special. Purchasing something you don’t have to use every day is a treat for women in 40s’. 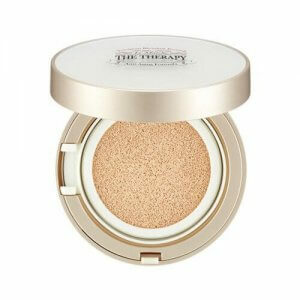 Unlike the powder type, the cream kind has high coverage and moisturizing effect. It can over skin blemishes like freckles and spots as well as keep it moist, and this is the type of foundation you want to use for a formal occasion. It is also great for people with dry skin. One thing to keep in mind is that it might not work well for people with oily skin. Excessive skin grease causes the cream foundation to smear, creating unevenness. The downside of great coverage is the fact it’s hard to wash off. It can stress your skin. If you are a beginner user, it takes a bit of practice to avoid pasty looks. This type should be great for a special occasion when you want to have even skin tone. 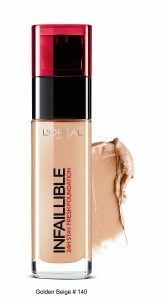 Liquid foundation offers a great coverage like cream foundation without looking pasty. It is perfect for someone who wants natural looks but powder isn’t sufficient. It gives you the glow to your skin that everyone wants, and is a great foundation to use for work and small get-togethers. It can be a great friend to mature skin. This type stays on the skin as well as the cream one, but is less damaging to your skin. It is definitely popular, but if you have sensitive skin, it can be stressful. Make sure to try it using a sample before purchasing it. When you pass 40, “skin turnover cycle” which is the skin exfoliation process isn’t regular. This means it takes longer for a damaged skin to recover. So, the best thing is to avoid damage as much as possible. Read the below to see what constitutes low stimulation. If you wear makeup every day, it is best to choose foundations with skin care ingredients such as moisturizer and whitening. This will help the skin damage to the minimum, and you are giving care while wearing it and even after washing it off. Placenta and vitamin C are said to help your skin look youthful. So check out the ingredients of foundations before purchasing one. The role of a foundation is to make your skin look smooth and even-toned. Ingredients such as fragrance that do not add to this role should be omitted if you have sensitive skin. Some people find moisturizing and beauty ingredients irritable as well. You need to make sure your skin can take whatever the formula includes. And another tip is this. Just because it says “all natural” on the package, that does not mean it is suited for your kind of sensitive skin. You have to try, try and try. You might want to visit the cosmetic department to try out a foundation sample or ask questions. All right. Now, let us look at the list of the most popular foundations sold in India. Remember, everybody has different skin types. If you liked our picks, go to the website and see if it works for your skin. 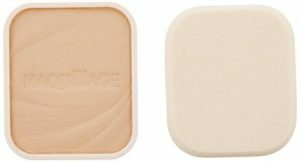 This powder type foundation is great for either the casual use or a touch-up when you are out. It is anti-aging in the way it gives a light glow to your skin and has UV protection. One thing to note is that this product overall is on the lighter shade, meaning if you have darker skin, this might not good for a regular use. Customers love the light glow it gives on the skin. Although it is a bit pricey, it might be a good investment. This dermatologist tested and non-acnegenic products do not contain oils or harsh ingredients that irritate your skin. Also, it contains no paraben and sulfates. This means it can work well if you have sensitive skin. You can apply it once to have casual looks or double it for a special night out occasion. One thing to note is, “sensitive skin” does not explain how sensitive. So, if you have had any allergic reaction to cosmetic products, go to the counter and get a sample before purchasing one. This liquid foundation by Lotus is gentle on your skin. 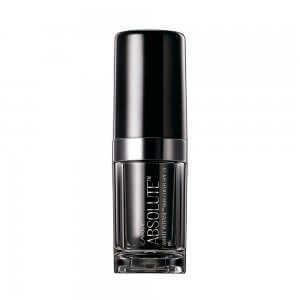 It is matte but gives a light glow, and sits well on your skin. All of these points indicate that the coverage isn’t too strong. But if you have sensitive skin or does not want to stress your skin too much, this might work well. Customers love the shade, how natural it feels and the overall looks. One thing to keep in mind is this may not cover dark spots on your skin. You might want to use this product with a concealer if you are going for a flawless blotch-free face. 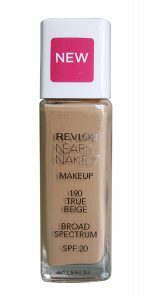 Another light liquid foundation we want to introduce is this one by Revlon. As the name indicates, you can create a natural fresh complexion. Depending on how many times you apply it, you can use it as both day/night foundation. A few points to note is that the light coverage means less coverage on blotches. And its undertone is on a pink side. Depending on your skin tone, this might not work so well. Check out the color! 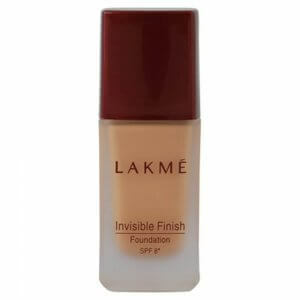 This liquid foundation from Lakmé is enriched with ingredients that protect skin: Vitamin B3, UV protection, etc. to keep your skin cells purified. It blends well on your skin and lasts for a long time. 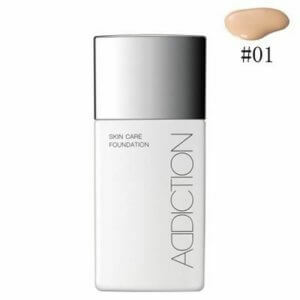 The pros for this product are “good coverage,” “lasts long time,” and “gives glow.” Cons are that it isn’t too cheap, and the fact it may not work for sensitive skin. All in all, this popular foundation has been satisfying customers. This product by L’Oreal Paris isn’t cheap, but does a great job covering skin blemishes. Of course, it all depends on your skin but it stays on your skin for a long time. According to the customer reviews, it works best for people with normal to relatively oily skin. If you have an extremely oily skin, it might rub off after a while. And if you have dry to very dry skin, it might not feel good after a while. Of course, there are ways to counterbalance this. Going for No-Make Looks? Try this! Are you the type who only wear foundation for special occasions? If you don’t like screaming of your foundation use, this product might work well for you. Just as the name of it suggests, it can provide a natural coverage to your skin. Of course, the light coverage means it will not cover dark spots and blotches too well. If you want to keep the overall natural looks, use this with a stick-type concealer for your dark spots. Because it is so inexpensive, this is great for your second or third foundations to keep in your bag. Remember? To protect your matter skin, using different types of foundations for different occasions is important. 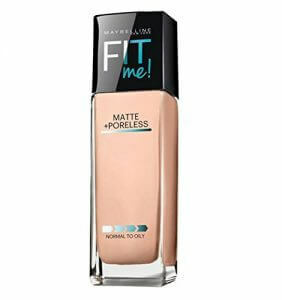 This popular liquid foundation by Maybelline gives medium coverage with a matte finish. If you don’t like a shiny glow or have oily skin, this may be it for you. There are a few points to keep in mind. The coverage might not last too long, which means you need some midday touch-ups. It has many shades but might not look the same on the skin, which means you might want to check it in person. And lastly, it can feel a bit too dry depending on your skin type. This type of foundation that gives matte effect tends to feel dry on your skin. So, you can use it in summer on its own, and in winter, you could supplement with a moisturizer. 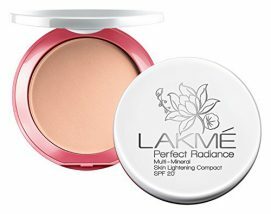 This Lakmé foundation can be your best friend if you need something light but gives a glow. It contains ingredients to protect your skin from UV protection to vitamins. Customers love how it feels on the skin and non-greasy texture that gives a glow. The downside is that it does not give a long lasting coverage or conceals dark spots. You might want to supplement with a concealer. 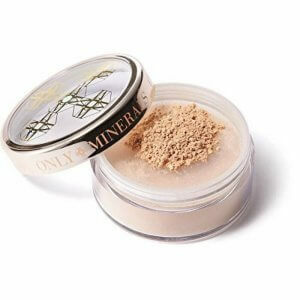 Since it is pretty cheap, this powder foundation can work as your touch-up foundation as well. If you have oily skin and use a liquid one, you can powder your shine down with this. 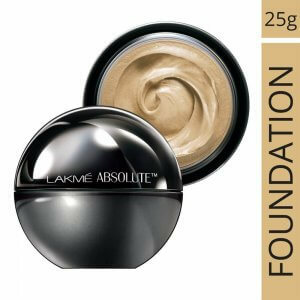 This Lakmé cream foundation has a great texture, sits well on most skin types, and easy to use. It offers many shades and the formula containing SPF 8 and other good ingredients for your skin. It can last up to 8 hours depending on your skin type. A few things to note are; if you have either extremely dry or oily skin, this may not work for you. It is one of the most popular foundations sold in India, and it sure has a reason! It works quite well for most people since it has many shades. If you want to get a natural look using liquid or cream foundation, then use a sponge. You can work on the detail and create an even tone. Some people find fingers to be the most adequate application tool. Well, finish it with a sponge can make it even better. It takes longer to get used to applying it with a brush. But if you are into this application, then using a brush is best. Hairs on a brush can cover the wrinkles around eyes and lips. So, we have introduced our top 10 foundations for people over 40. Did you find the one suited for your skin? Foundations for mature skin should be chosen to fight against aging skin and its troubles. Find the perfect foundation or two to enhance the glow you already have! Good luck!